With the 2019 Men’s Final Four semifinals set to take over Minneapolis in less than a year, the Minneapolis Final Four Local Organizing Committee (MLOC) says that diversity and inclusion is a high priority in its planning. Founded in 2017, the group includes the University of Minnesota, City of Minneapolis, Sports Minneapolis and Meet Minneapolis, the Minnesota Sports Facilities Authority and representatives of the local business community. Many community folks complained about the lack of diversity and inclusion when Minneapolis last hosted the Final Four in 2001. However, since assuming her position, MLOC president and CEO Kate Mortenson has consistently gone on record that this would not be the case when the event is held next spring. “The local committee is really focused on the spending we control,” Mortenson said in an MSR interview. “We have a 70 percent rate of placing our business with diverse businesses and suppliers. We are making sure that we do our best to provide these opportunities to people of color [-owned] businesses. We think about diversity and inclusion from our hiring, connecting [with community organizations], our committees and volunteer corps,” she said. MLOC spokesperson Steve Mann also pointed out in a recent MSR email that 68 percent of the vendors and service providers are diversely owned businesses, which include people of color-, women-, veteran-, “differently abled-” and LGBT-owned businesses. Nearly 80 percent of these businesses are Black-owned, he said. Mann added that the MLOC-hired team is 60 percent diverse, and its Future Stars intern program is 100 percent diverse. “These numbers are from the time our office first opened and will most definitely evolve as we move forward,” he said. According to Mortenson, the MLOC 24-person advisory committee is diverse as well. “We work with all of the organizations, such as the Minority Supplier Development Council, in identifying and connecting with Black-owned businesses and businesses owned by other people of color,” she explained. 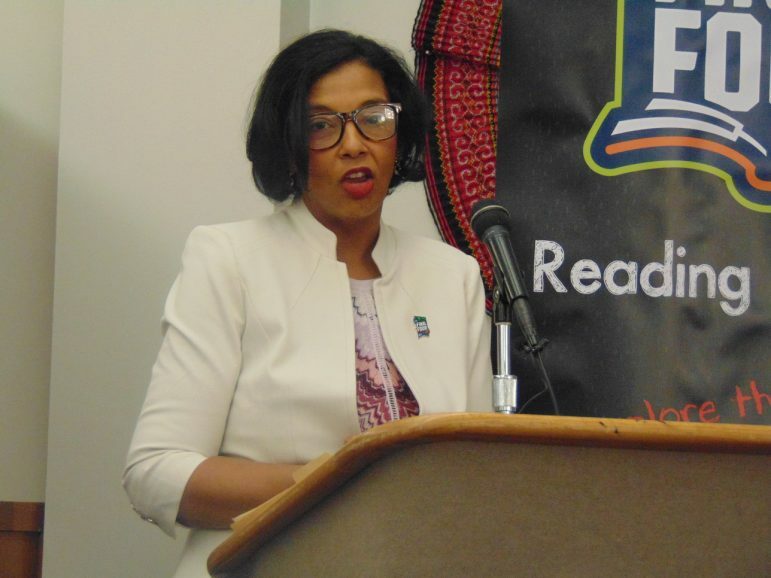 While in town last month, NCAA Inclusion and Human Resources Executive Vice President Katrice Albert said that her office strongly encourages the host city committee of such events as the Final Four to be very deliberate in its community outreach efforts. “We are committed…to making sure we use targeted businesses and women-owned businesses,” Albert, a former University of Minnesota diversity and equity vice president, told the MSR. The MLOC has released an economic impact report predicting an estimated $142 million would be generated from hosting the Men’s Final Four next year. Over $123 million is expected to be spent on hotels, food, transportation, shopping and other entertainment by approximately 94,000 visitors. The study also predicts an average visitor spending of $386 per person per day over the Final Four weekend, compared to typical tourism spending averages of around $124 per day. “The Final Four is unique because it celebrates college sports” as opposed to pro league championships such as the Super Bowl, said Sports Minneapolis Executive Director and Meet Minneapolis President and CEO Melvin Tennant. Mortenson pledged that the MLOC also will plan and promote Final Four related events for the entire community. 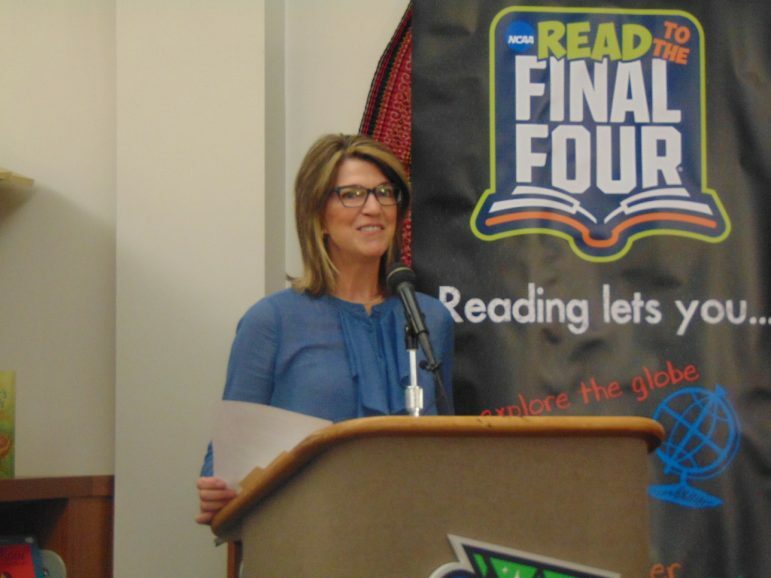 “We have the [‘Read to the Final Four’] reading program for every third grader in the entire state of Minnesota,” she pointed out. “We have a legacy court restoration project at North Commons [Park] on the North Side of Minneapolis. We want our community to know – no ticket, no problem. There are [many] ways to be involved” and in some cases at no cost, she said. Mortenson said her group’s work is right on schedule. Less than 300 days remain before the 2019 Men’s Final Four takes place April 6 and 8, 2019. “We are on the clock, and we are having so much fun,” she said.